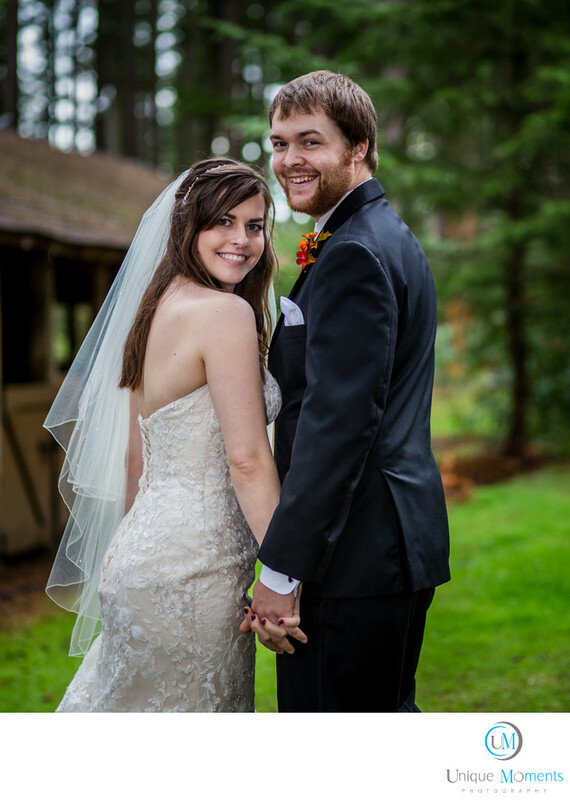 Unique Moments Photography of Gig Harbor Washington captured this wedding in October 2015 at Frontier park in Graham. This was our first wedding at Frontier and we must say that we were very impressed with this facility.The tall forest surrounding the park and the out buildings worked well for the photos process. The buildings where the reception was held is also very nice. We had rain for this ceremony so the wedding building was used for the ceremony which resulted in some very nice wedding images. Our bridal walk was fantastic. The beautiful green forests and backlighting coming through the trees worked very well. Frontier Park is a great little venue for families to consider. It is ideally set up for an outdoor wedding but has the security of the additional buildings to use in case of rain. Location: 21718 Meridian Ave E, Graham, WA 98338.